HALO Youth and Volunteers are Busy Prepping for the Fashion Show! 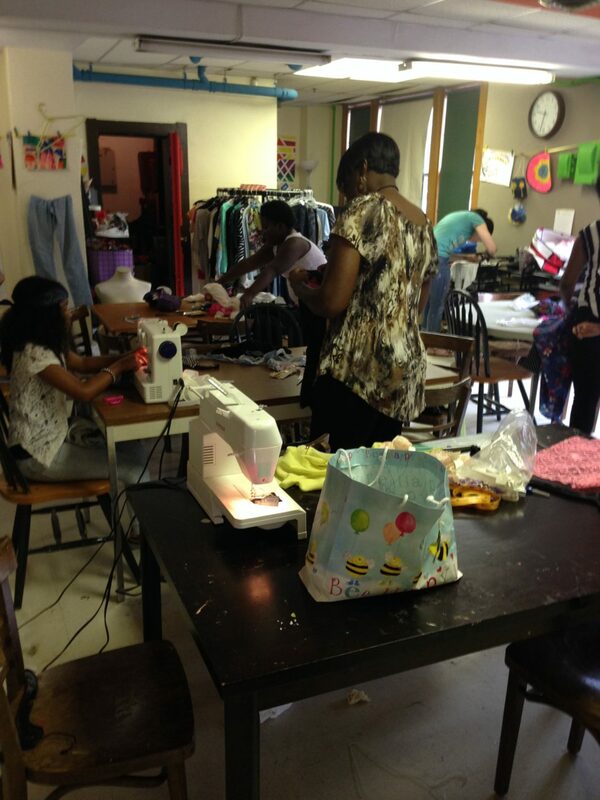 With the fourth annual Fashion Show THREE days away, HALO youth and volunteers are quite busy! 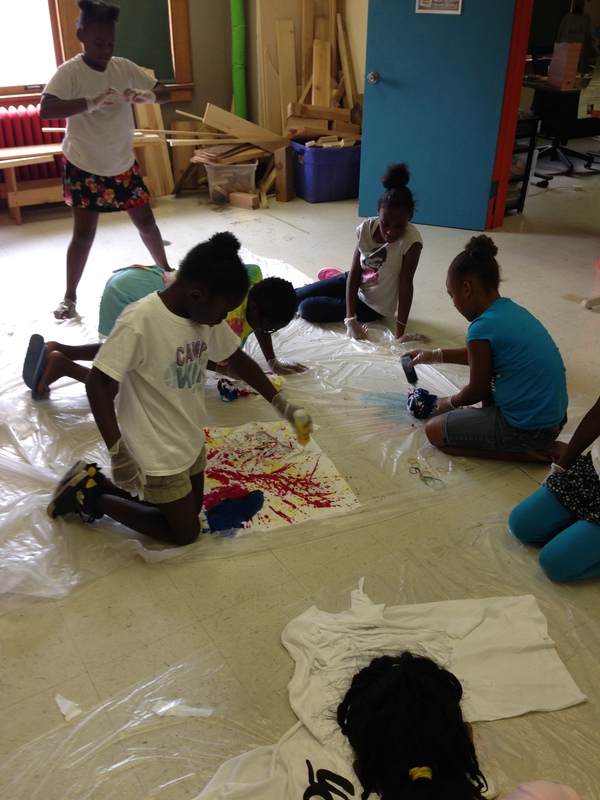 Today, youth came to the Learning Center to tie dye shirts and upcycle clothes for the show. Upcycling consists of finding an ordinary piece of clothing and revamping it into something fabulous. For example, today, one youth glued pearl beads on a shirt to spell her name. HALO youth and volunteers are having a BLAST. We cannot wait for the show this Friday! The show is from 6:00 to 8:30 p.m. at Terrace on Grand, 1520 Grand Blvd, Kansas City, MO 64108. To purchase tickets and learn more about the event, visit https://haloworldwide.org/events-2/kansas-city-youth-fashion-show-2014/. Here are some awesome photos of today’s workshop. We can’t wait to see you at the show! 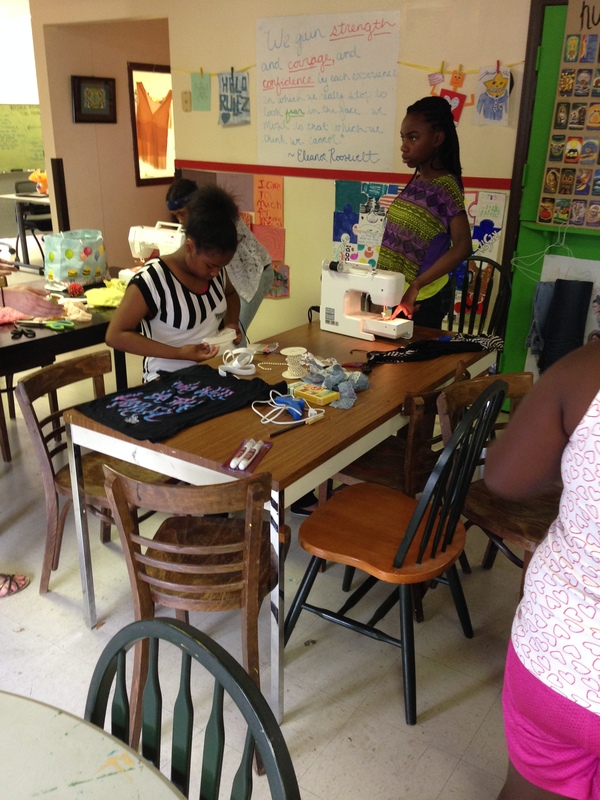 Finishing touches on the sewing machine! Putting elastic on her skirt.